One of the best ways to find people who may be in the market for your product is to build your own list. It should include past customers…respondents to offers of information relating to your product area…and thoroughly tested names from rental lists. Clearly and thoroughly, tell your readers why they need your product. Provide them with all the reasons that they should desire it. Back up your assertions with testimonials from happy purchasers. And, above all, make it easy for them to buy. Pit the best offers you can devise against one another in economical tests. And accept the results of your tests—even if they force you to drop your personal favorites. 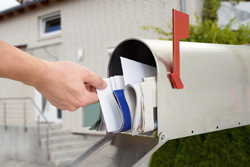 Collect mailings you receive, analyze their offers, and adapt them in your own offers. Invest in postpaid reply cards or envelopes. They cost, but they increase response so much that they usually are well worth the extra money. Ditto for toll-free phone numbers and bank credit cards. Make sure that your ordering device is easy to understand and simple to complete. And see to it that all your package’s headlines— from the outer envelope to your order form—point toward an order. Mail or ship all orders on the day you receive them—which drastically cuts refusals. Have at least one alternative mailing ready to send immediately to non-respondents. And include a fresh offer and order form with your fulfillment package.